In the term "plastic surgery," the adjective plastic implies sculpting and/or reshaping, which is derived from the Greek πλαστική (τέχνη), plastikē (tekhnē), "the art of modelling" of malleable flesh. This meaning in English is seen as early as 1598. The surgical definition of "plastic" first appeared in 1839, preceding the modern "engineering material made from petroleum" sense of plastic (coined by Leo Baekeland in 1909) by 70 years. The current semantic diversity of the word plastic has a long history of development. Essentially, there are two ways of using this term. In its original sense plastic relates to formation or shaping of matter, i.e. to plastic art. Plastic can also be used figuratively in the meaning of formation of non-material things (e.g. writing a poem, creating a piece of music, and so on), i.e. in the meaning of the power to create. Both notions have been around for thousands of years. The origin of the dual history of the materialistic and philosophical use of plastic can be traced back to the ancient Greek craft of pottery and mythology, respectively. Wider textual use of the term plastic began with Pliny the Elder’s (23 – 79 AD) Plastice, a chapter in his Natural History. The semantic flourish of plastic started only at the end of the 18th century when Johann Gottfried Herder introduced the concept of “plastic sense” in his aesthetic essay Plastik (Sculpture) of 1778. 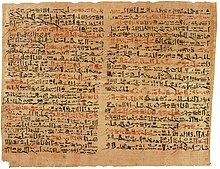 Treatments for the plastic repair of a broken nose are first mentioned in the Edwin Smith Papyrus, a transcription of an Ancient Egyptian medical text, one of the oldest known surgical treatises, dated to the Old Kingdom from 3000 to 2500 BC. Reconstructive surgery techniques were being carried out in India by 800 BC. 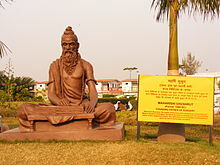 Sushruta was a physician who made important contributions to the field of plastic and cataract surgery in 6th century BC. The medical works of both Sushruta and Charaka, originally in Sanskrit, were translated into the Arabic language during the Abbasid Caliphate in 750 AD. The Arabic translations made their way into Europe via intermediaries. In Italy, the Branca family of Sicily and Gaspare Tagliacozzi (Bologna) became familiar with the techniques of Sushruta. British physicians traveled to India to see rhinoplasties being performed by Indian methods. Reports on Indian rhinoplasty performed by a Kumhar Vaidya were published in the Gentleman's Magazine by 1794. Joseph Constantine Carpue spent 20 years in India studying local plastic surgery methods. Carpue was able to perform the first major surgery in the Western world in the year of 1815. Instruments described in the Sushruta Samhita were further modified in the Western world. 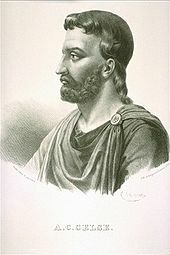 The Roman scholar Aulus Cornelius Celsus recorded surgical techniques, including plastic surgery, in the first century AD. The Romans also performed plastic cosmetic surgery. The Romans were able to perform simple techniques, such as repairing damaged ears, from around the 1st century BC. For religious reasons, they did not dissect either human beings or animals, thus their knowledge was based in its entirety on the texts of their Greek predecessors. Notwithstanding, Aulus Cornelius Celsus left some surprisingly accurate anatomical descriptions, some of which — for instance, his studies on the genitalia and the skeleton — are of special interest to plastic surgery. In 1465, Sabuncu's book, description, and classification of hypospadias was more informative and up to date. Localization of urethral meatus was described in detail. Sabuncuoglu also detailed the description and classification of ambiguous genitalia. In mid-15th-century Europe, Heinrich von Pfolspeundt described a process "to make a new nose for one who lacks it entirely, and the dogs have devoured it" by removing skin from the back of the arm and suturing it in place. However, because of the dangers associated with surgery in any form, especially that involving the head or face, it was not until the 19th and 20th centuries that such surgery became common. Up until the use of anesthesia became established, surgeries involving healthy tissues involved great pain. Infection from surgery was reduced by the introduction of sterile techniques and disinfectants. The invention and use of antibiotics, beginning with sulfonamide and penicillin, was another step in making elective surgery possible. The first American plastic surgeon was John Peter Mettauer, who, in 1827, performed the first cleft palate operation with instruments that he designed himself. In 1845, Johann Friedrich Dieffenbach wrote a comprehensive text on rhinoplasty, titled Operative Chirurgie, and introduced the concept of reoperation to improve the cosmetic appearance of the reconstructed nose. In 1891, American otorhinolaryngologist John Roe presented an example of his work: a young woman on whom he reduced a dorsal nasal hump for cosmetic indications. In 1892, Robert Weir experimented unsuccessfully with xenografts (duck sternum) in the reconstruction of sunken noses. In 1896, James Israel, a urological surgeon from Germany, and in 1889 George Monks of the United States each described the successful use of heterogeneous free-bone grafting to reconstruct saddle nose defects. In 1898, Jacques Joseph, the German orthopaedic-trained surgeon, published his first account of reduction rhinoplasty. In 1928, Jacques Joseph published Nasenplastik und Sonstige Gesichtsplastik. Walter Yeo, a sailor injured at the Battle of Jutland, is assumed to have received plastic surgery in 1917. The photograph shows him before (left) and after (right) receiving a flap surgery by Sir Harold Gillies. During World War I he worked as a medical minder with the Royal Army Medical Corps. After working with the renowned French oral and maxillofacial surgeon Hippolyte Morestin on skin graft, he persuaded the army's chief surgeon, Arbuthnot-Lane, to establish a facial injury ward at the Cambridge Military Hospital, Aldershot, later upgraded to a new hospital for facial repairs at Sidcup in 1917. There Gillies and his colleagues developed many techniques of plastic surgery; more than 11,000 operations were performed on more than 5,000 men (mostly soldiers with facial injuries, usually from gunshot wounds).After the war, Gillies developed a private practice with Rainsford Mowlem, including many famous patients, and travelled extensively to promote his advanced techniques worldwide. In 1930, Gillies' cousin, Archibald McIndoe, joined the practice and became committed to plastic surgery. When World War II broke out, plastic surgery provision was largely divided between the different services of the armed forces, and Gillies and his team were split up. Gillies himself was sent to Rooksdown House near Basingstoke, which became the principal army plastic surgery unit; Tommy Kilner (who had worked with Gillies during the First World War, and who now has a surgical instrument named after him, the kilner cheek retractor), went to Queen Mary's Hospital, Roehampton, and Mowlem to St Albans. McIndoe, consultant to the RAF, moved to the recently rebuilt Queen Victoria Hospital in East Grinstead, Sussex, and founded a Centre for Plastic and Jaw Surgery. There, he treated very deep burn, and serious facial disfigurement, such as loss of eyelids, typical of those caused to aircrew by burning fuel. McIndoe is often recognized for not only developing new techniques for treating badly burned faces and hands but also for recognising the importance of the rehabilitation of the casualties and particularly of social reintegration back into normal life. He disposed of the "convalescent uniforms" and let the patients use their service uniforms instead. With the help of two friends, Neville and Elaine Blond, he also convinced the locals to support the patients and invite them to their homes. McIndoe kept referring to them as "his boys" and the staff called him "The Boss" or "The Maestro." His other important work included development of the walking-stalk skin graft, and the discovery that immersion in saline promoted healing as well as improving survival rates for victims with extensive burns — this was a serendipitous discovery drawn from observation of differential healing rates in pilots who had come down on land and in the sea. His radical, experimental treatments led to the formation of the Guinea Pig Club at Queen Victoria Hospital, Sussex. Among the better known members of his "club" were Richard Hillary, Bill Foxley and Jimmy Edwards. Craniofacial surgery is divided into pediatric and adult craniofacial surgery. Pediatric craniofacial surgery mostly revolves around the treatment of congenital anomalies of the craniofacial skeleton and soft tissues, such as cleft lip and palate, craniosynostosis, and pediatric fractures. Adult craniofacial surgery deals mostly with fractures and secondary surgeries (such as orbital reconstruction) along with orthognathic surgery. Craniofacial surgery is an important part of all plastic surgery training programs, further training and subspecialisation is obtained via a craniofacial fellowship. Craniofacial surgery is also practiced by Maxillo-Facial surgeons. Hand surgery is concerned with acute injuries and chronic diseases of the hand and wrist, correction of congenital malformations of the upper extremities, and peripheral nerve problems (such as brachial plexus injuries or carpal tunnel syndrome). Hand surgery is an important part of training in plastic surgery, as well as microsurgery, which is necessary to replant an amputated extremity. The hand surgery field is also practiced by orthopedic surgeons and general surgeons. Scar tissue formation after surgery can be problematic on the delicate hand, causing loss of dexterity and digit function if severe enough. There have been cases of surgery to women's hands in order to correct perceived flaws to create the perfect engagement ring photo. Children often face medical issues very different from the experiences of an adult patient. Many birth defects or syndromes present at birth are best treated in childhood, and pediatric plastic surgeons specialize in treating these conditions in children. Conditions commonly treated by pediatric plastic surgeons include craniofacial anomalies, Syndactyly (webbing of the fingers and toes), Polydactyly (excess fingers and toes at birth), cleft lip and palate, and congenital hand deformities. Cosmetic surgery is a voluntary or elective surgery that is performed on normal parts of the body with the only purpose of improving a person’s appearance and/or removing signs of aging. In 2014, nearly 16 million cosmetic procedures were performed in the United States alone. The number of cosmetic procedures performed in the United States has almost doubled since the start of the century. 92% of cosmetic procedures were performed on women in 2014, up from 88% in 2001. Nearly 12 million cosmetic procedures were performed in 2007, with the five most common surgeries being breast augmentation, liposuction, breast reduction, eyelid surgery and abdominoplasty. The American Society for Aesthetic Plastic Surgery looks at the statistics for 34 different cosmetic procedures. Nineteen of the procedures are surgical, such as rhinoplasty or facelift. The nonsurgical procedures include Botox and laser hair removal. In 2010, their survey revealed that there were 9,336,814 total procedures in the United States. Of those, 1,622,290 procedures were surgical (p. 5). They also found that a large majority, 81%, of the procedures were done on Caucasian people (p. 12). The American Society of Plastic Surgeons (ASPS) estimates that more than 333,000 cosmetic procedures were performed on patients 18 years of age or younger in the US in 2005 compared to approx. 14,000 in 1996. This is significant because it encourages younger people to continue these procedures later in life. The increased use of cosmetic procedures crosses racial and ethnic lines in the U.S., with increases seen among African-Americans, Asian Americans and Hispanic Americans as well as Caucasian Americans. In Europe, the second largest market for cosmetic procedures, cosmetic surgery is a $2.2 billion business. Of 1191 UK newspaper articles, 89% used the term ‘plastic surgery’ in the context of cosmetic surgery. This is significant as it shows the frequency in which the western world portrays cosmetic surgery. In Asia, cosmetic surgery has become more popular, and countries such as China and India have become Asia's biggest cosmetic surgery markets. South Korea is also rising in popularity due to their expertise in facial bone surgeries. The first publication by a team of South Korean surgeons on facial bone contouring surgeries was published illustrating various surgery methods used for facial bone contouring surgeries. All surgery has risks. Common complications of cosmetic surgery includes hematoma, nerve damage, infection, scarring, implant failure and organ damage. Breast implants can have many complications, including rupture. In 2011 FDA stated that one in five patients who received implants for breast augmentation will need them removed within 10 years of implantation. Though media and advertising do play a large role in influencing many people's lives, such as by making people believe plastic surgery to be an acceptable course to change our identities to our liking, researchers believe that plastic surgery obsession is linked to psychological disorders like body dysmorphic disorder. There exists a correlation between sufferers of BDD and the predilection toward cosmetic plastic surgery in order to correct a perceived defect in their appearance. ^ "Plastic surgery". Aman Garg. Citelighter. Retrieved 15 January 2013. ^ a b Macionis V. History of plastic surgery: art, philosophy, and rhinoplasty. J Plast Reconstr Aesthet Surg.. 2018, 71:1086-1092. ^ "Academy Papyrus to be Exhibited at the Metropolitan Museum of Art". The New York Academy of Medicine. 2005-07-27. "Archived copy". Archived from the original on 27 November 2010. Retrieved 12 August 2008. CS1 maint: Archived copy as title (link). Retrieved 2008-08-12. ^ MSN Encarta (2008). Plastic Surgery Archived 22 September 2008 at the Wayback Machine. ^ "Introduction". American Board of Plastic Surgery. 2013. Archived from the original on 2 February 2014. Retrieved 4 April 2013. ^ ABC News. "Hand Rejuvenation for Better Engagement Ring Selfies". ABC News. Retrieved 12 September 2015. ^ "2001 Cosmetic Surgery Statistics". Retrieved 12 September 2015. ^ "Cosmetic Surgery Market: Current Trends". Retrieved 12 September 2015. ^ "New Statistics Reflect the Changing Face of Plastic Surgery". 25 February 2015. Retrieved 15 November 2017. ^ "The Most Popular Cosmetic Procedures". WebMD. Archived from the original on 10 September 2015. Retrieved 12 September 2015. ^ "The 10 Most Common Plastic Surgery Complications". ^ Choices, NHS. "Plastic surgery - Complications - NHS Choices". www.nhs.uk. ^ "Cosmetic surgery Risks - Mayo Clinic". ^ "Obsessed With Beauty: The Rush To Cosmetic Surgery". Retrieved 12 September 2015. ^ a b Veale, D (2004). "Body dysmorphic disorder". Postgraduate Medical Journal. 80 (940): 67–71. doi:10.1136/pmj.2003.015289. PMC 1742928. PMID 14970291. ^ Canning, Andrea (20 July 2009). "Woman's DIY Plastic Surgery 'Nightmare'". ABC News. Gilman, Sander (2005). Creating Beauty to Cure the Soul: Race and Psychology in the Shaping of Aesthetic Surgery. Duke University Press. ISBN 978-0-8223-2144-6. This page was last edited on 7 March 2019, at 05:46 (UTC).